I deeply adore flowers and it is only now that I'm more interested in them than before. 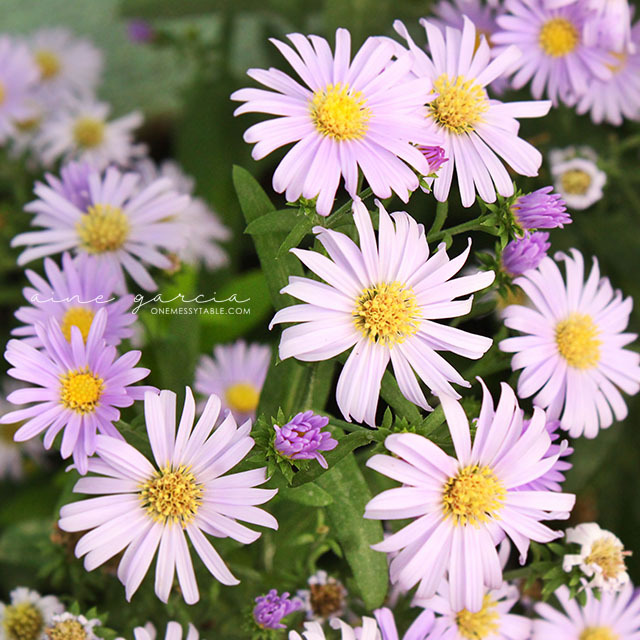 One of my favorites is this daisy-like flower - Purple Aster. This flower is really meaningful for me, it symbolizes a new beginning for my mother. And every time I looked at them, I am always reminded of my parent's most-awaited day. These are gorgeous flowers! I love purple flowers. I may have to plant some of these. I love these plants. They make your garden beautiful and they attract lady bugs too! It is beautiful flower Sis. I love daisies as well. It is my mother in-law's favorite flower.